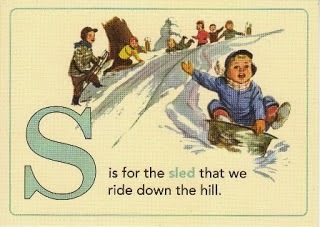 Now there is something I haven't done in years.... sledding down the hill in the winter. I can remember as a kid, it was fun to get wet and cold out on the hill. Now, I'm not so sure my old bones can handle the run, let alone the cold. So I decided to tell you one of my many talents. It has even dubbed me "The Soup Nazi". I can make a soup out of just about anything. Whether it's leftovers in the fridge, a recipe or off the cuff with fresh ingredients, I can make a mean soup or stew. During the colder months it is what we eat more and more. Hearty meals was the soul in the Fall and Winter. So recently I made a beef vegetable soup in my slow cooker, and I figured this would be a great chance to give ya'll the recipe. Add all ingredients to your crock-pot. Cook on HIGH for around 9 hours. Stir occasionally to avoid sticking to the bottom. Serve warm with a fresh baguette. So there is one of the many soups or stews I will make throughout this cold season. Do you have a favorite slow-cooker soup you make often?? Mmm! Can almost smell the goodness! Yummy! I love soup and eat plenty of it in the Winter. I haven't made any in the slow cooker though. Now I'll have to try it! I love making soup all year round but have never tried using my slow cooker! I really don't know why, it would be much easier! In the fall I love making roasted vegetable soup or butternut squash soup. I don't use a recipe, just freestyle Lol! wish I have someone like around to make me soup during the cold seasons. 9 hours to make soup? I wish I have the skill and the patience. My specialty is soups - my husband's grandmother agreed with the rest of the family that my soups were exceptional "now, she added," if only we can get her to make a decent cup of tea". (too weak evidently, and my mother says the 'tide is always out' on them - maybe I should become the tea Nazi and shout at them - " no tea for you!." Mmmmm! That looks sooooo gooood! I do have tons of soup recipes but slow-cooked Chinese-style soup is kinda different - it's more like broth. Excellent post, and gee it does look yummy! I like putting new soups together too! What fun it is! I don't have a favorite but I have a sneaking suspicion that this recipe will be up there! Spectacular post for the letter "S"!